I almost missed it, too. I was just finishing Wednesday’s Chocolate Chips and Chaos post when I happened to look up and saw a purplish hue over the house behind ours. At first I thought it was a storm coming through and was worried it was going to be a bad one (which we’ve missed so far, fortunately). When I moved toward the window however, I saw the most beautiful pinks, reds, yellows, purples and blues. The colors reflected off the sinking sun on the clouds was simply breathtaking. A few minutes later, the pinks and reds had disappeared (below), but the mixture of oranges and blues were almost as beautiful. 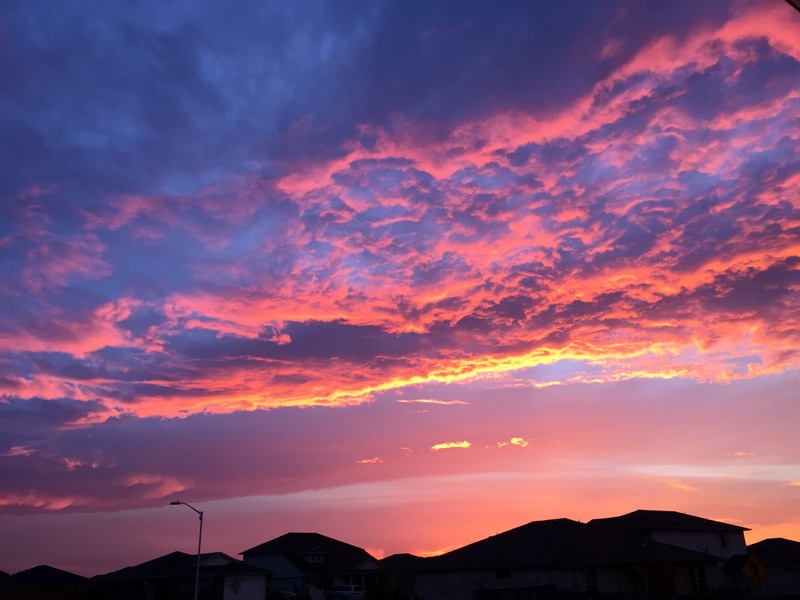 The Texas sky continues to amaze me. 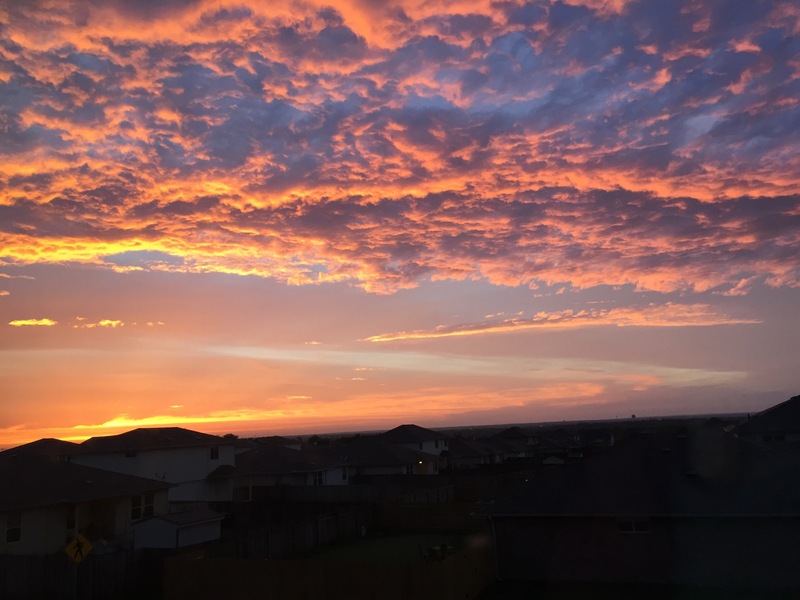 This entry was posted in Living and tagged sunset on May 14, 2015 by Julie Riebe.